M2Talent Oy is a Finnish digital service company focused on recognizing and channeling people’s competences. Company has created a new service MAZHR to help individuals and organizations recognize, understand and verify potential. MAZHR is a lifelong career assistant. It supports individuals important career decision points throughout life from studies all the way to retirement. 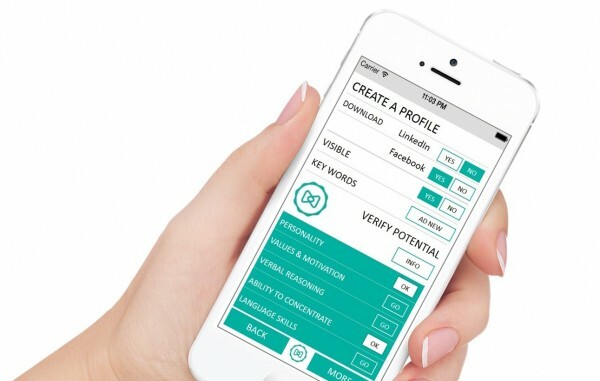 MAZHR matches users verified personal features to career possibilities and professions. More than one in five young Europeans on the labour market cannot find a job. At the same time several companies are already experiencing notable talent shortage. M2Talent has invented a new innovative application to solve the growing mismatch between employers and the workforce. Disruptive service enables job seekers to show and match their true, verified potential for employers and open job positions. MAZHR® is an intelligent digital career assistant in your pocket. New disruptive application is designed for job hunting and life long career development. MAZHR® exploits world class digital online assessments, powerful cognitive technology, global social media networks and worldwide digital job boards to analyze in depth career opportunities and connect job seekers and employers effectively.